Salmon is such a versatile fish. 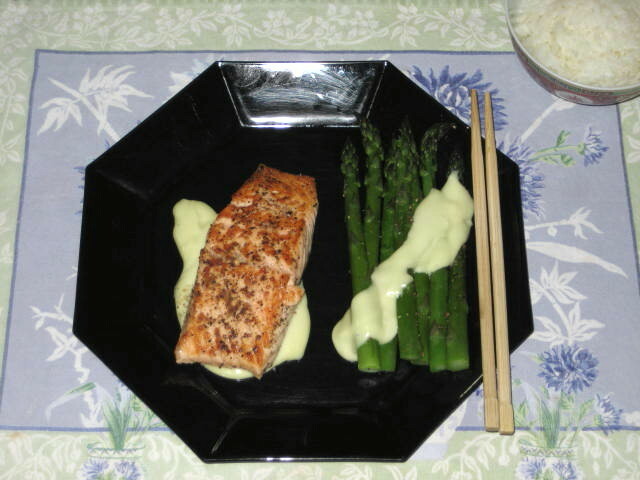 We just love salmon any time of the year, Last week I have prepared it 3 times using same base ingredients (salmon and asparagus) and same sauce (teriyaki). Simplest way is just pan fry it in very hot pan for 1 minute, turn over and add teriyaki, cook another 30 seconds and it is done. Plain steamed rice, nuked asparagus (1 minute on high) wasabi mayo dressing and sliced plain cucumber completes the meal. Second way is basically same except that salmon is cut into large chunks and wasabi-mayo sauce is replaced with teriyaki glaze. Served with bowl of steamed rice topped with Furikake Seasoning and cucumber. Third way is more complicated. 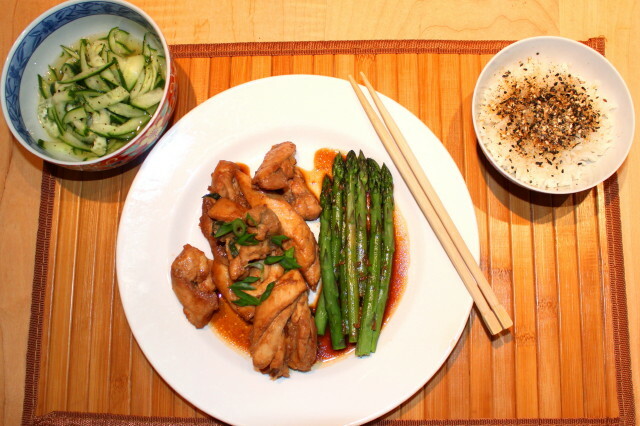 It is a regular stir fry where you cook sliced red onion, asparagus and snow peas. 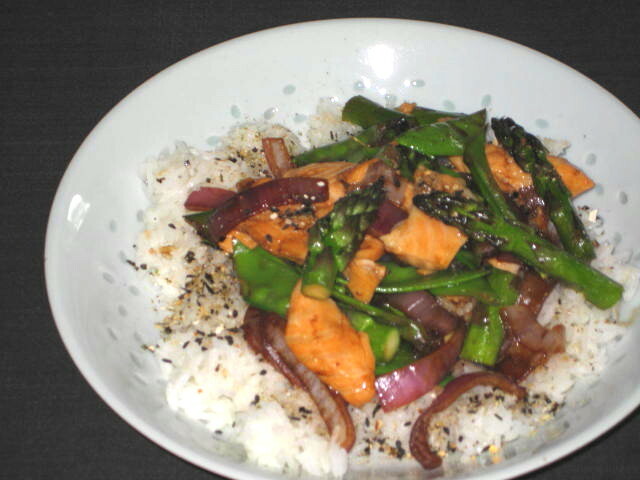 When veggies are just soft add salmon chunks and teriyaki sauce, Stir fry for a minute and serve on bed of rice with Furikake Seasoning or just toasted sesame seeds. Cucumber salad is a natural with salmon. Even though most ingredients are same the taste is little bit different because of cooking technique.